We’re thankful for all the wonderful events happening this weekend in Asheville! 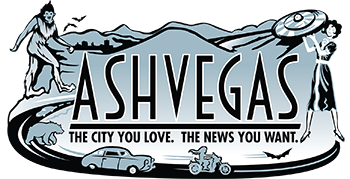 Here’s our Asheville GritVegas Weekend Update – Thanksgiving style. Get out there and party off that turkey! A potluck for your very special Thanksgiving Day at your favorite bar. With magick from Ahnika Meyer-Wilde. David Wilcox and friends perform their annual Thanksgiving show! Tickets are on sale now for $22/$25. Get them while they’re around–this show tends to sell out. Funky rockers The Fritz, “Asheville’s music ambassadors,” come home to celebrate for the holidays with Hustle Souls and local phenom DJ Marley Caroll. $10. The holiday shopping season has officially begun! Head down to the Westside Artist Co-Op and support local artists and makers. Another wonderful band takes the stage at the Grey Eagle to celebrate and be thankful. Tickets are $15/$18. Celebrating the release of Undertaker Please Drive Slow, the new album from genius guitarist Shane Parish of Ahleuchatistas. Shane will play a solo set, then will play with Ahleuchatistas, Tashi Dorji, and Library of Babel. The Grey Eagle is officially the venue to be spotted at this weekend. A silent auction plus a rock and roll show from Death and the Reverend to benefit Standing Rock and the #NoDAPL movement. That’s all we got for this edition of the Asheville GritVegas Weekend Update!